Best credit monitoring services are these that provide all credit reports and many features in their plans. Credit monitoring services that provide the most features are typically paid, however there are many reliable companies that offer credit report and credit monitoring for free. There are many sites of the type: free credit report. The catch is that they require you to add your credit card and then they start charging you for credit monitoring, which is not free, this looks scam. A free credit monitoring site means totally free! A site that won’t ask you to even give your credit card. The main reason for people to subscribe for credit monitoring is to prevent identity theft and to monitor their credit for updates. Below are the best credit monitoring companies for 2019. Some of them are totally free and provide reliable service. We also give you the big names in paid credit monitoring, because some of them provide much more features for more advanced people. No credit monitoring services can prevent identity theft in full! If someone tell you this, that is scam! The most secured ways to prevent identity theft are: credit freeze, fraud alert, and be careful with who you share your personal information! And get credit monitoring, the fact that credit monitoring can’t prevent identity theft in full doesn’t mean that you don’t have to get it! Credit Sesame is very well known for giving a nearly instant credit report and score. But it’s better known for being a completely FREE service to use. 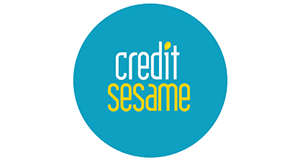 Yes, Credit Sesame is FREE credit monitoring! It is not as comprehensive as the seven above choices, however it does shine among the ‘free’ services’. 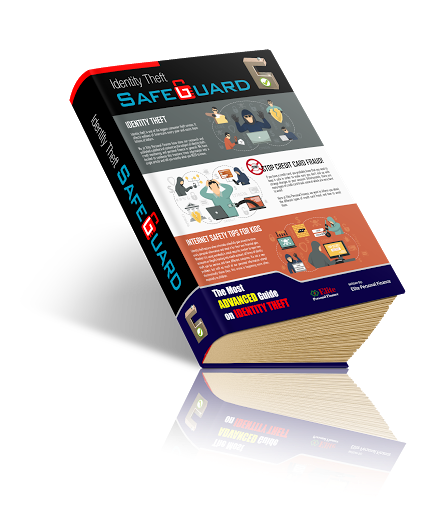 IdentityIQ monitors for any use of a customer’s SSN within its network and alerts them of what is seen. Other monitoring services will only alert customers if their SSN is used with a wrong address or name. In addition, IdentityIQ performs enhanced change of address notification. The company not only monitors for a change of address request with the credit reporting agencies but also monitors the National Change of Address registry to make sure customers are informed of changes made to their information. 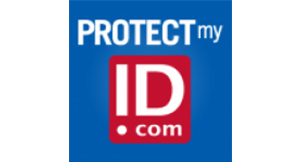 Identity Force is one of the best identity theft protection services, and for good reason. Their identity theft protection plan runs $17.95 a month, which makes it a little pricey. However, it is well worth it and upgrading to the $23.95 plan will add a lot of credit monitoring perks. Family Plan: You can get family protection for an added fee, which includes your spouse and dependents. Identity Force also includes lost wallet protection, medical card protection, insurance, daily credit monitoring, access to 3 bureau credit scores, fraud alerts, and an Identity Score that represents your level of risk. There’s no wonder why it’s Top 3 on nearly every list. 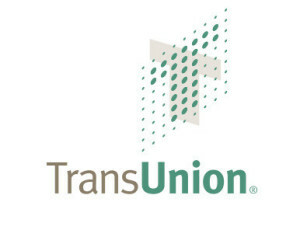 TransUnion is one of the three big bureaus that rate consumer credit and, ultimately, give you your score and report. All three bureaus offer solid protection, but TransUnion offers the best. Debt-to-Income Ratio: Gives you your debt-to-income ratio right away, making it easy to see what you qualify for. 3 Bureau Monitoring and Scores – Experian, Equifax, and TransUnion scores are all available from LifeLock. Experian offers many of the same services that Equifax does… but the pricing is structured differently. Your first month is $5, not free. And each month is $20/month after that! For this reason, we’ve put Experian at number seven. Monthly Updates to your history are sent directly to you. $4.95 for your first month at Experian! 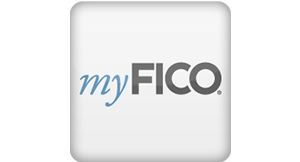 MyFico, as the name implies, was started by FICO. FICO is the company that invented the credit score that the three main bureaus (Equifax, Experian, and TransUnion) use today. MyFico was founded as a way for people to easily get their credit score online and has since evolved into a full fledged monitoring service. It’s number three on the list primarily because they do not offer as much by way of protection as the top 2 guys, but their credit monitoring is definitely notable as one of the best out there. 19 Different Varieties of Credit Scores to see what actual lenders are using! Join MyFico now for all your credit scores! Mint is not like the rest that you see here. Instead, you are monitoring your accounts easily, in real time, with alerts sent to you every week. Monitors your spending and will alert you to uncharacteristic spending. Will help you improve your credit score by showing you how much you’re spending. Mobile App to monitor spending on the go! 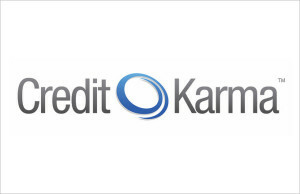 Credit Karma is probably one of the more famous names in free credit report. They offer excellent tools to help with your finances and keep your credit in a good range. But they do not have as much protection as Credit Sesame does, and focuses more on monitoring than anything else. Odds Calculator: Calculates your odds of getting a specific loan by using your credit history! 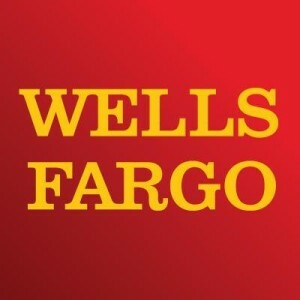 You might bank at Wells Fargo, and certainly many people do. It’s one of the most trusted names in financial services and is no slouch when it comes to keeping your credit intact. We placed it at number four because, even though their offer is good, it’s simply doesn’t offer a lot of flexibility in choice. But if you’re satisfied with this, you can’t go wrong. Score Tracker – Tracks your score over time to see month-to-month changes. Score Simulator – Shows you possible credit score outcomes of taking out loans. 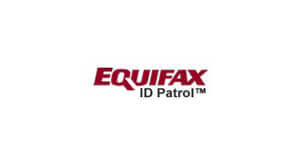 Equifax is the 2nd bureau on our list, and they offer a lot of similar options as TransUnion does. However, they do not offer updates as frequently as many of the other companies do. Not only that, but only TransUnion makes it easy to see your debt-to-income ratio, which is a big factor in credit approval. Credit Alerts that tell you if something has happened to your credit history. What is credit monitoring exactly? This is simply the act of monitoring your credit — which can be defined as your credit cards, your bank accounts, your investing accounts, and much more. Most credit monitoring companies will watch for signs of forced account changes and unauthorized transactions. You can also find credit + identity monitoring packages that work together to drastically reduce the chance of any credit fraud occurring in the first place. How does identity monitoring and credit monitoring differ? Identity monitoring is the act of watching for signs of identity theft or fraud, while credit monitoring watches for credit fraud related attacks. The two often combine; if someone’s identity is stolen, it’s usually used to commit identity fraud for the purpose of financial gain. This typically requires a fraudulent credit card, or unauthorized credit card transactions. As for protective services, there is a bit of gray area between the two. A quality credit monitoring program will watch for signs of identity theft because these things could serve as a precursor to credit card fraud. So you can get certain alerts and tracking in a credit monitoring plan that you will find in an identity protection plan — and vice versa. We always recommend to our readers that they invest in a combination of the two. You can pick up a combined plan for anywhere from $15 to $30 depending on where you go. This guarantees all areas are protected and therefore there will be less ‘points of failure’ to incur. Is there credit monitoring for small business owners? If you are a small business owner, your business credit is just as in danger as your personal credit. You might even be more liable for it; since your business information is so hard to protect, having some type of credit monitoring would be great. We haven’t reviewed any specific business monitoring plans, but we are aware of at least two that are worth looking into if you’re in this position. They’re CSID and Experian, both of which have specialty business / enterprise credit monitoring plans for you to use. What’s the best credit monitoring service for students? If you are a student, we recommend that you invest in basic credit monitoring and place a credit freeze on your file. This is especially effective if you have no active credit and you don’t plan to open any or many new credit lines in the near future. The freeze will prevent fraudsters from opening new accounts in your name. Then you can monitor any current activities with the credit monitoring plan. You could find similar results with a free service, so don’t be scared to take on a limited monitoring plan. Once you have active credit cards, or if you don’t have a security freeze, you’ll be better off with a premium credit monitoring plan. What if you don’t have a credit file? If you have no borrowing history, or if you have what’s referred to as a “thin file” then Credit Karma is the perfect option for you. They offer free monitoring to anyone who has a thin file; we covered this before if you’re interested in reading more. Is there a way to monitor your credit for free? From the list we’ve provided, the following companies all offer free monitoring plans: Credit Sesame, Mint, and Credit Karma. There are some options to upgrade, but you’ll have access to at least some basic credit monitoring features on here. We recommend Credit Sesame the most, as when you decide to upgrade you can seamlessly make the conversion. They also give you both credit monitoring AND identity theft protection at no cost. Start Monitoring Your Credit NOW! Credit monitoring services are pretty cheap, and they essentially pay for themselves once you look at all the cost-saving factors. Not to mention, your credit score going up will save you a lot on interest costs in future years as well. Since these plans are so affordable, and many have free trials, you have no excuse. Get protected today! These are the best credit monitoring services we have covered lately. Don’t forget that many identity protection companies offer credit monitoring in their plans. Getting identity theft protection and credit monitoring services under the same provider is usually a lot cheaper. Take a look at our list of the top 10 identity theft protection companies and see if there are any good alternatives. Our research looked at criteria of price flexibility, breadth of offering, and customer satisfaction. Using these criteria, we’ve narrowed it down to the 10 best credit monitoring services to consider and ordered them by performance. Without further ado, let’s look at how each company stacks up! Vishing Scams Attacks: Here’s How to Stay Safe! ATM Skimmers? Here’s What You Need to Know! 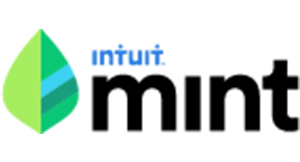 WalletHub Credit Monitoring Review – The Only Daily Updated Credit Score Site !